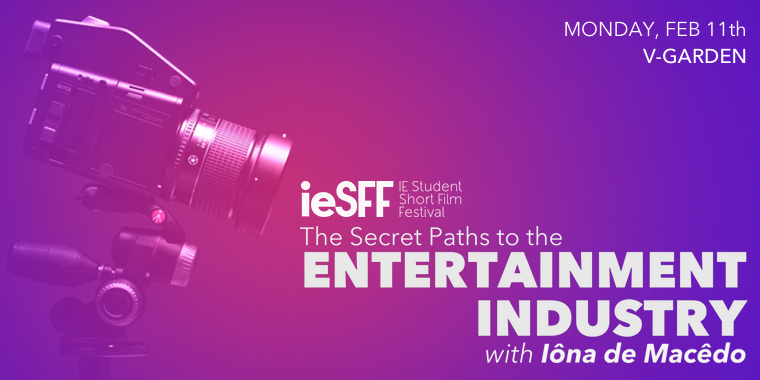 Are you interested in getting started in the glamorous world of the entertainment industry? In this once in a lifetime workshop, Iona de Macedo will talk about tips on how to get into this business and how you can increase your chances and get yourself ready for the world that awaits you. Iona is an expert in the world of film and tv. She is a producer, she was the SVP of Sony Pictures and now she's the academic director of Bachelor in Communication andBachelor in Communication (BIC) and Digital Media at IE School of Human sciences and Technology.